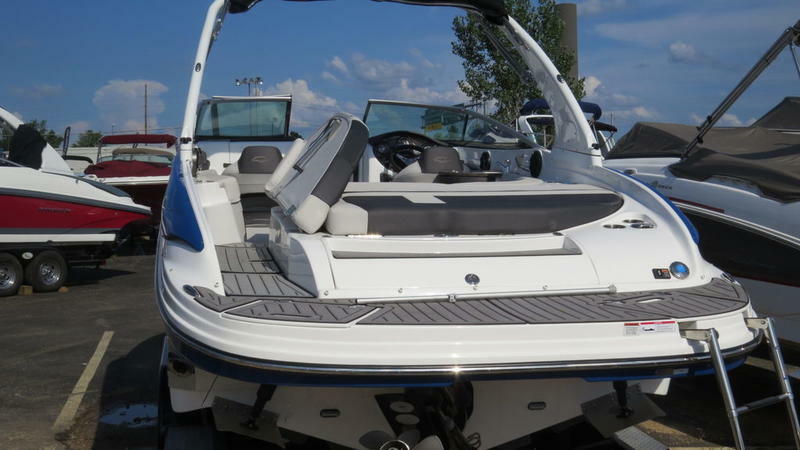 The award winning, best selling 26QX has long been a favorite of boaters across the world. 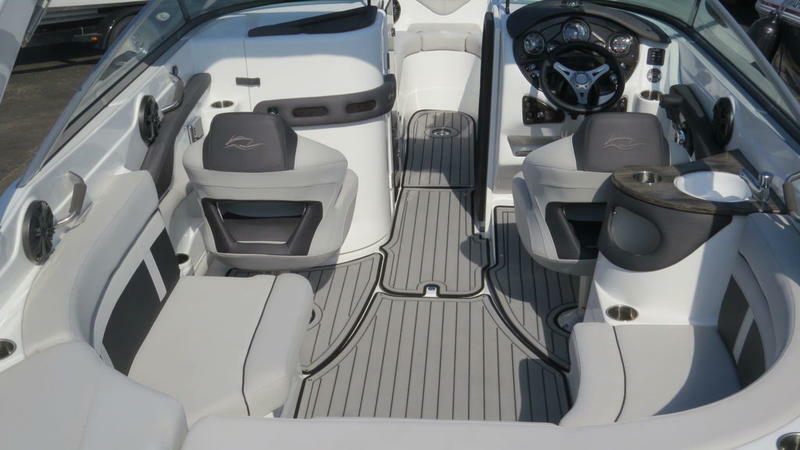 From a huge swim platform and sunpad to expansive seating options, the 26QX comes in both bowrider and cuddy cabin models—well equipped for days under the sun and nights under the stars. 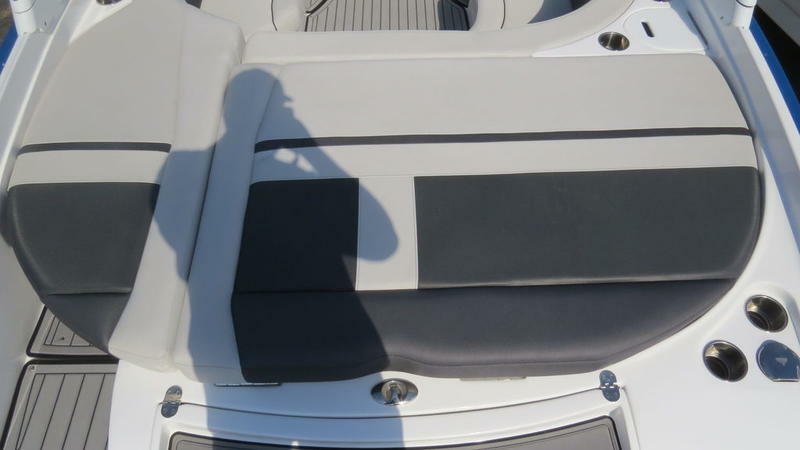 The large sun pad that adorns the engine hatch features the requisite aft-facing rumble seat, which easily deploys by lifting the back cushion. It slides into place via stainless-steel piping to create an aft-facing backrest for lounging while at anchor or prepping for watersports. The main cockpit features traditional U-shaped seating along the back, with a small entertainment center behind the bucket seat at the helm. The seats are deep and comfortable, and stainless-steel grab handles sheathed in a soft-grip wrap are always within reach. A removable cooler hides under the aft bench. 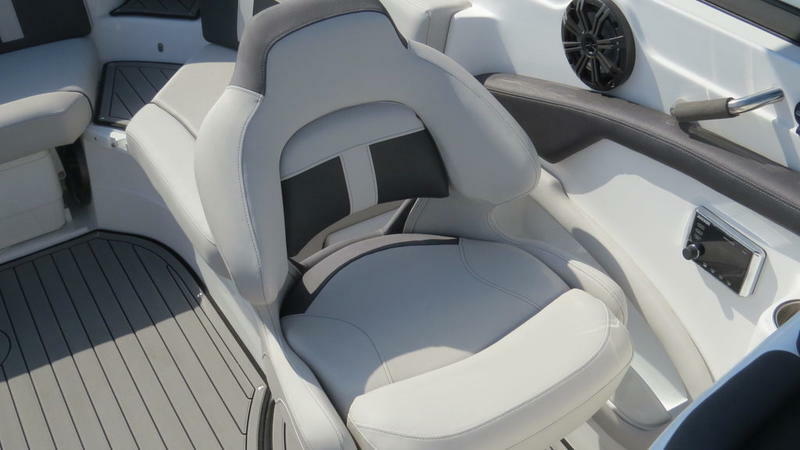 Both the helm and passenger bucket seats feature flip-up bolsters for standing or sitting. The helm sports an ergonomic padded rest for your throttle arm, and all the gauges are easy to read on the glare-free dash. The console itself features nifty storage forward of the helm, complete with Formica cabinetry. 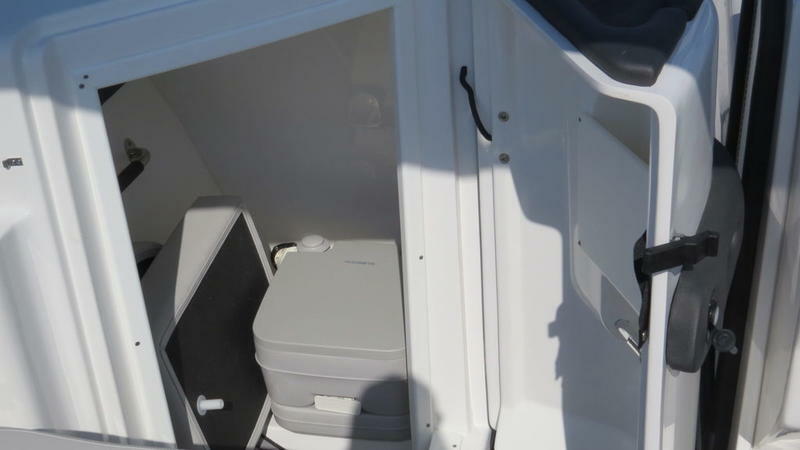 An enclosed head hides in the port console and serves double duty as a changing room. 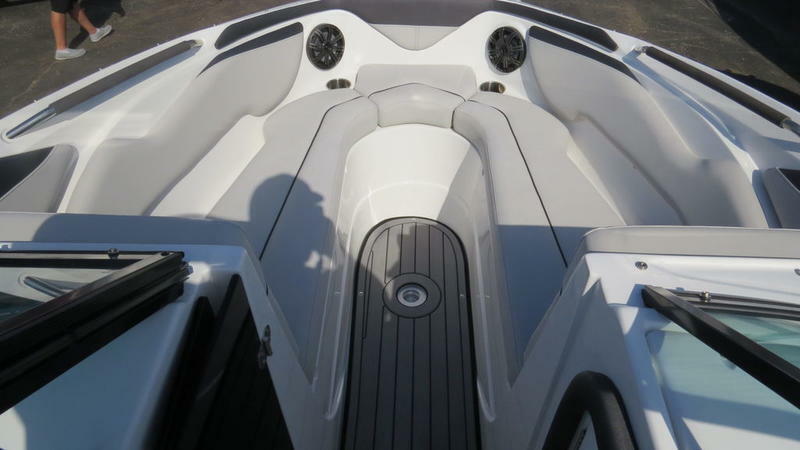 Anyone who chooses to use it while underway will appreciate the oversize grab handle inside.The Rinker QX26’s bow cockpit is another area that sets it apart. It features seats set inside high freeboard to keep passengers protected while underway, with more oversize grab rails for them to grab hold and steady themselves. 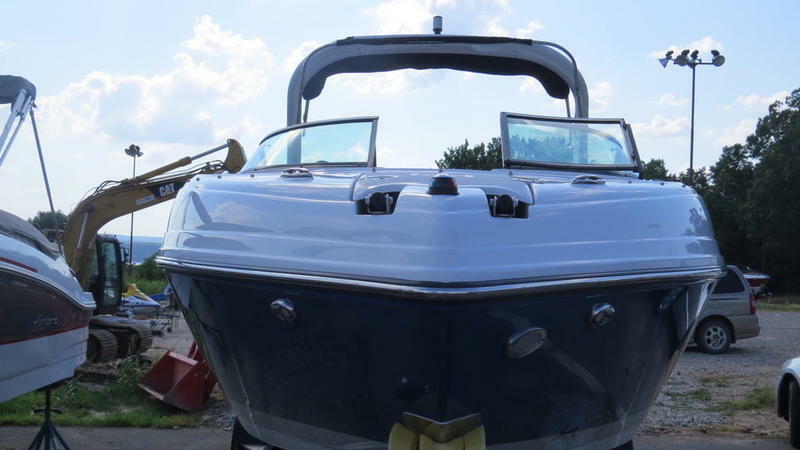 In a nod to practicality and recognizing how real boaters use their boats, Rinker built the anchor locker under the forward seat in the bow, rather than using a typical bowrider configuration and sticking it under the same hatch as the bow ladder. 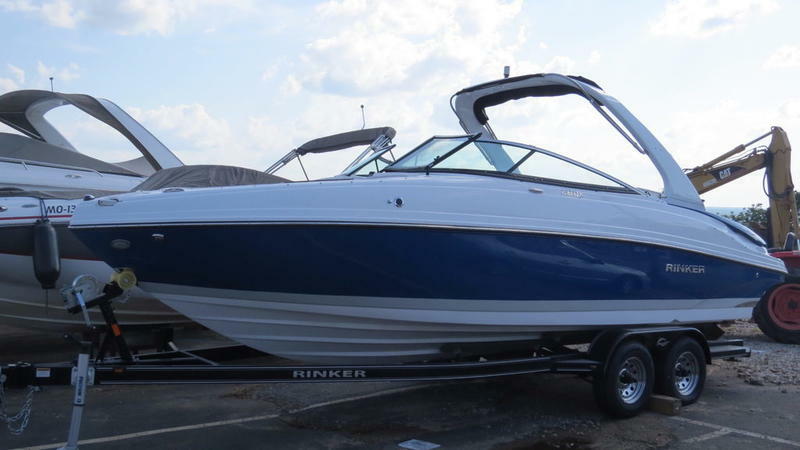 Anyone who’s ever had to flip out the ladder to handle an anchor line will appreciate Rinker’s setup.While the QX26 is practical, it still exceeds any boater’s fun quotient. Just count the cup holders — there are 15 on board. Yet Rinker notes that, in another nod to practicality, unused drink holders are great places to throw a cellphone or any other small personal item. Also, note the Kicker stereo system, which features six total speakers. There are two USB ports to plug in your tunes, one wired into the head door and another in the entertainment center behind the helm.